This Faithfull 2 Way Coupling converts a single tap with a 3/4in BSP thread into two quick release outlets with a shut-off valve on each. 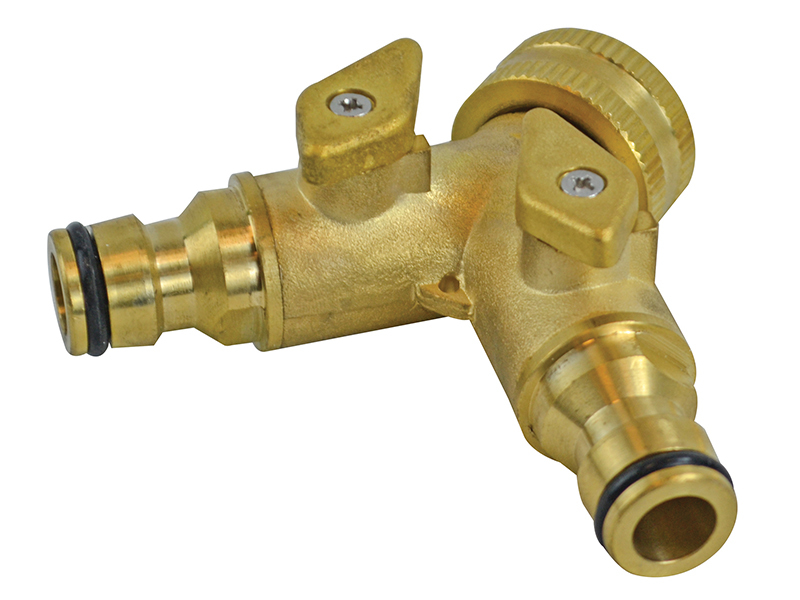 This handy adaptor allows the use of two watering accessories simultaneously if required. 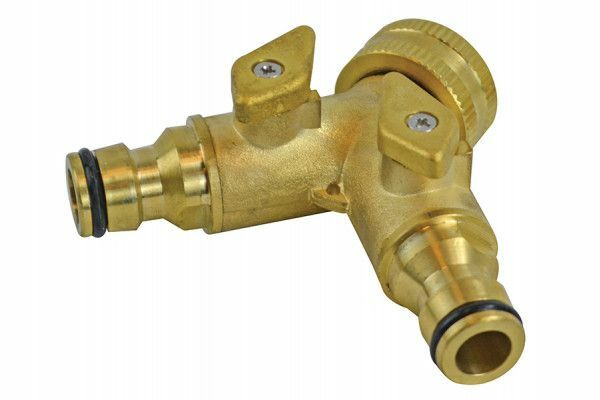 Manufactured from high quality solid brass and suitable for use with all 12.5mm (1/2in) quick release UK water fittings.